Whilst we could have easily stayed in Budapest the journey had to go on, so after a well deserved sleep in and a huge home cooked breakfast we dragged our feet and reluctantly said goodbye to Budapest. Our destination was Bratislava the capital of Slovakia. 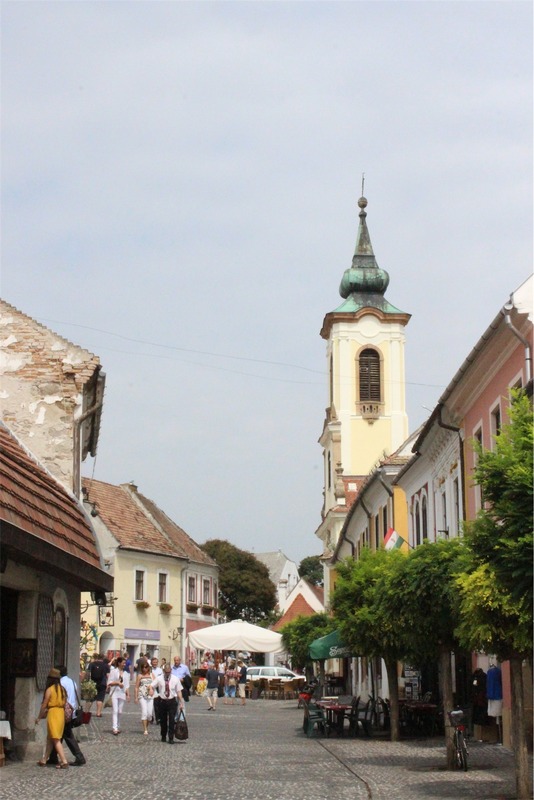 Firstly though we had a quick detour to Szentendre, a cute little town on the banks of the Danube River. Research had identified that there was a strange Marzipan Museum and for some reason Keith was keen to go and see it. It was an odd little place, however we did have to admit that considering everything was made from Marzipan the art work was pretty good. 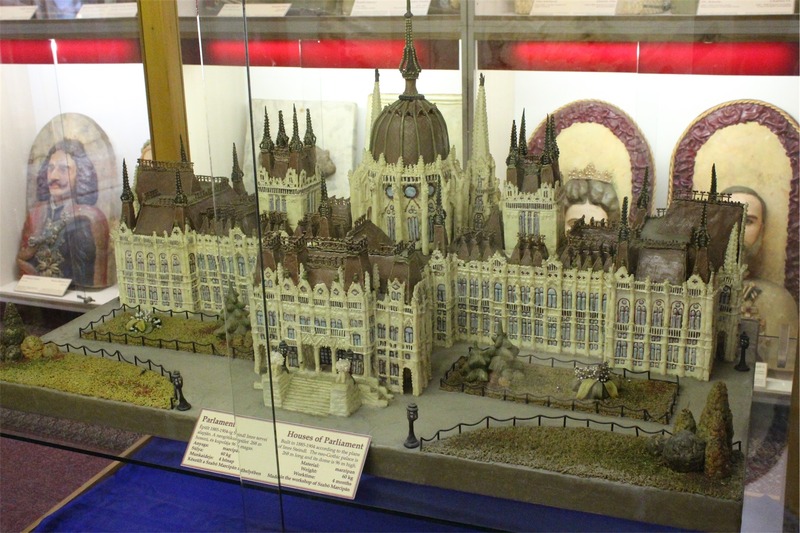 You’ll recall the Parliament Building we saw in Budapest, well check out its replica! 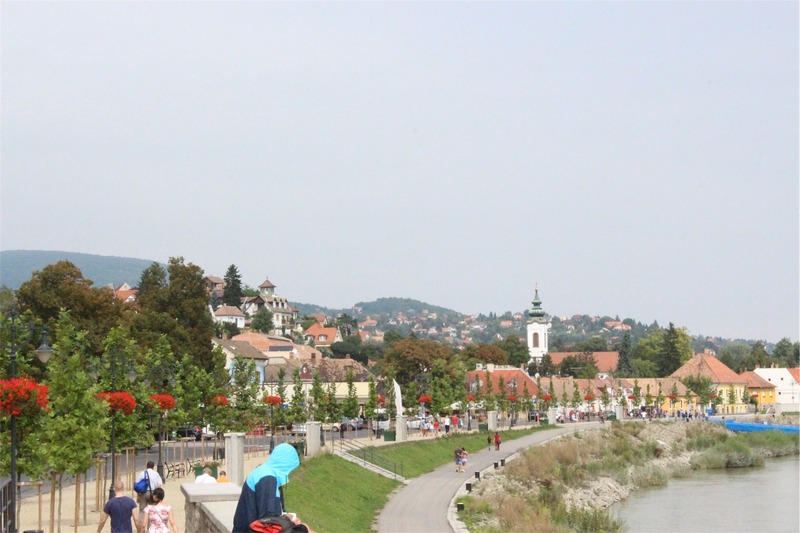 It was a tiny town so after morning tea we continued to make our way towards Bratislava. Often we’ll be driving along somewhere on a back road, come around a bend and there is something amazing we could never have expected. Today we saw the hugest building in the distance, it looked amazing and so we decided to detour and try and find it. 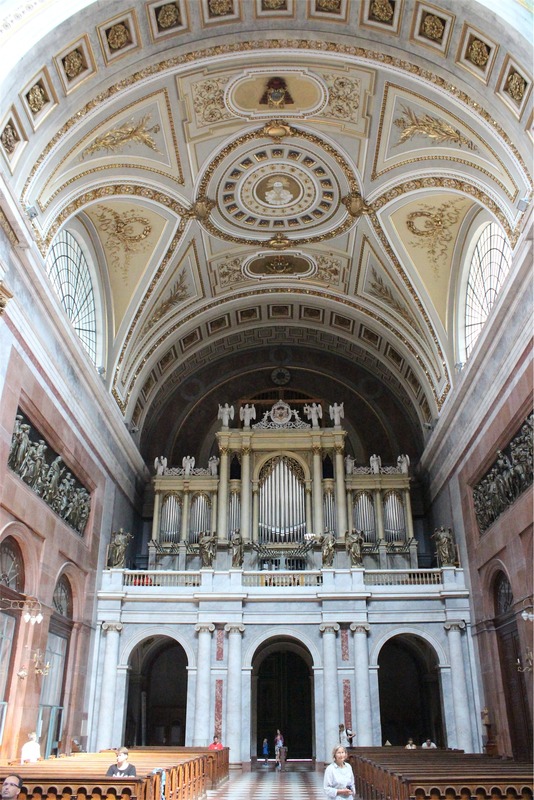 How lucky that we did as what we had stumbled upon was the Esztergom Basilica. 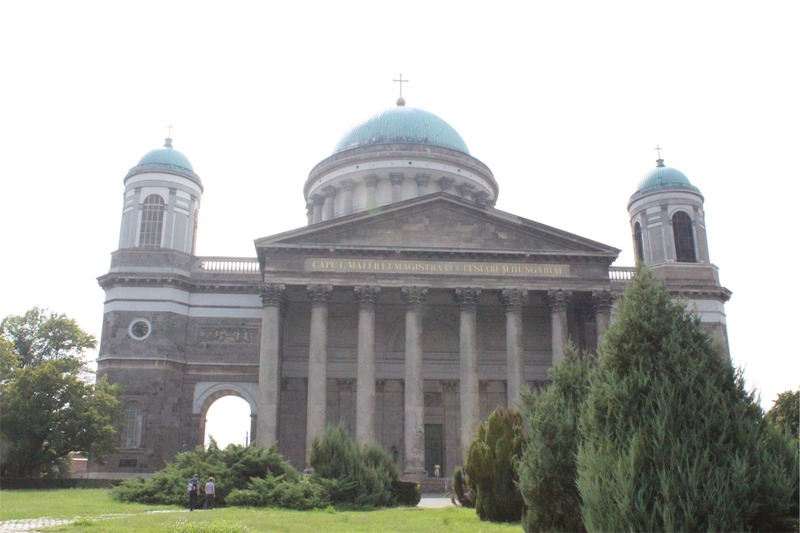 At 114 metres in length and at a height of 100 metres The Esztergom Basilica is the third largest church in Europe, surpassed only by St Peter’s in Rome and St Paul’s in London. 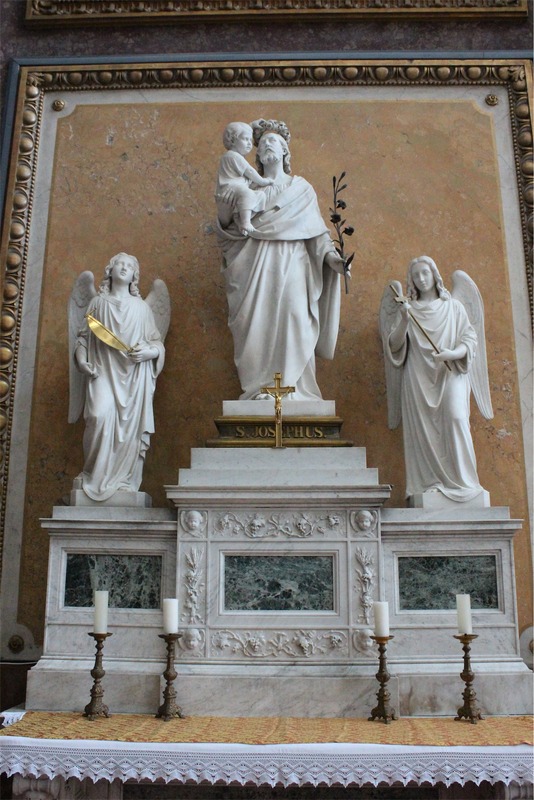 Not only is the building itself incredible, the church interior is amazing, some of the best artwork and sculptures we’ve seen to date. 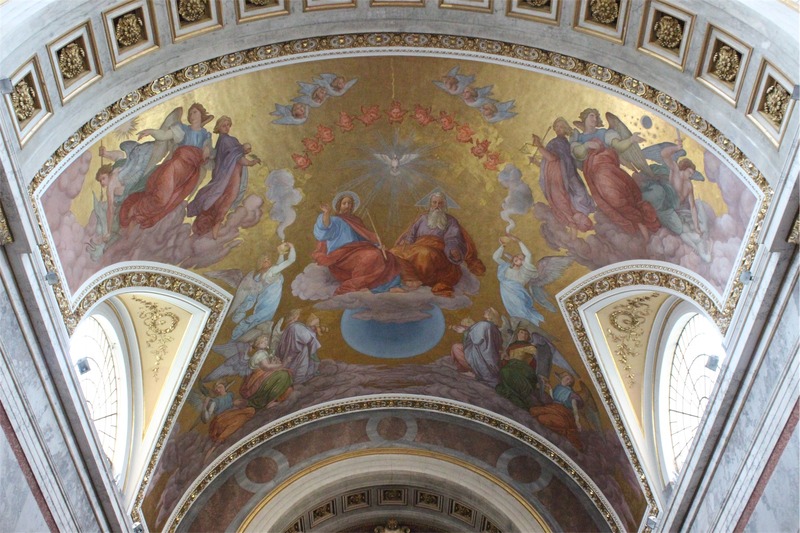 In fact above the alter the piece Assumption of Mary, is the world’s largest altarpiece, painted on a single piece of canvas. To give you an idea of how large the building is, you can see Keith hugging a column for scale. 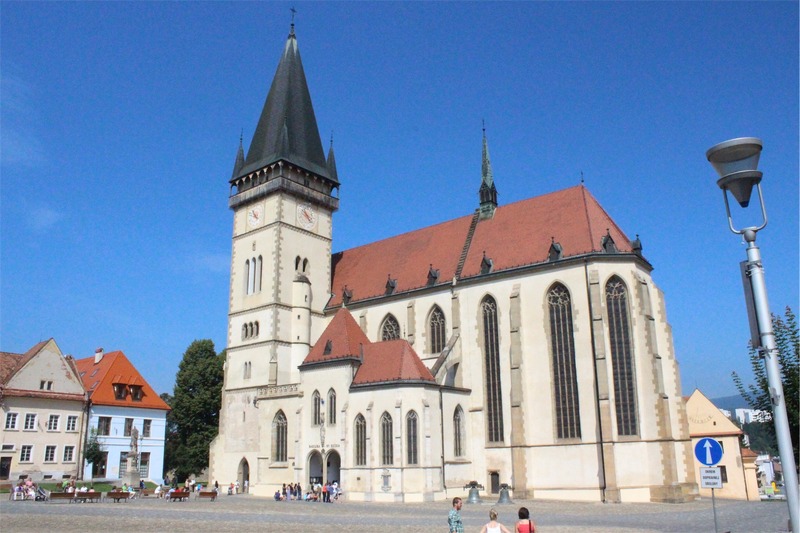 The Basilica is located at the top of a very high hill, overlooking the town of Esztergom. The views were just awesome. You can see in the picture below the bridge that actually forms the Hungarian/Slovakian border. About halfway along the bridge it’s signposted that you’ve entered Slovakia. We eventually made it to Bratislava, checked into the hotel and headed across the road to a Brewery (so very convenient) for dinner. It’s close to a month and a half since we started this journey and if you’ve been following the blog, you’ll know that we haven’t rested for a second, but have been going full on the whole time. Today we decided that we were just getting burnt out. We slept in, left at a reasonable hour and then took the shortest route possible from Roznava to Budapest. Arriving in Budapest around 1pm we had some lunch at a nearby pub and checked in to our AirBnb apartment. We did some washing, shopping and by the time we had done this, it was getting well into the evening. The executive decision was made to catch up on admin and have an early night – that way, we could manage a full day seeing as much of Budapest as possible the next day. Because of this, we actually didn’t take any photos at all, so there are none to post! However, we’ll more than make up for it tomorrow – we promise! Today we left Krakow making our way to Slovakia. The drive itself was fantastic with so much to see, below are a few pictures from the drive. The view from a steep mountain drive through forests, an endless field of sunflowers, a tiny church in a graveyard and a random “Aeroklub” with really old planes. 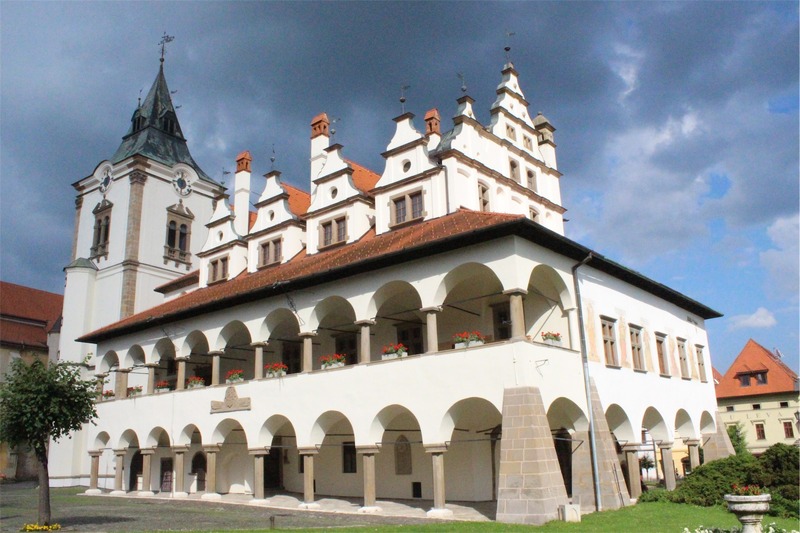 One of the cities on our list to visit was Bardejov, a UNESCO listed town. Although the first written mention of the town was in 1247, the inhabitants of the village can be traced back to 20,000 BC! There was a large protective wall around the core part of the city and amazing buildings around the town square. In fact, it was a little haunting because we visited on a Sunday and there were congregations singing hymns around us as we looked at the church that was hundreds of years old! While driving along, we saw a castle in the distance. This was the first real castle that we’d seen since we came to Europe and we had to see it up close. We detoured off our route to explore it and we weren’t disappointed. Spis Castle is one of the largest castles in Europe and is amazing to see. It is also UNESCO listed but is mostly in ruins. It was built in the 12th Century it remains today looking over the villages it protected back then. We had to walk up a massive hill to get to it in very warm weather, but it was worth it. Not only was it amazing to be in a real castle, there were displays, a museum and even flintlock pistol shooting. Spisska Nova Ves has had people living in the village since the 6th Century. We stopped there to look around and have some lunch. Although the lunch wasn’t great, it was a good stop on the trip and the town really is quite pretty. 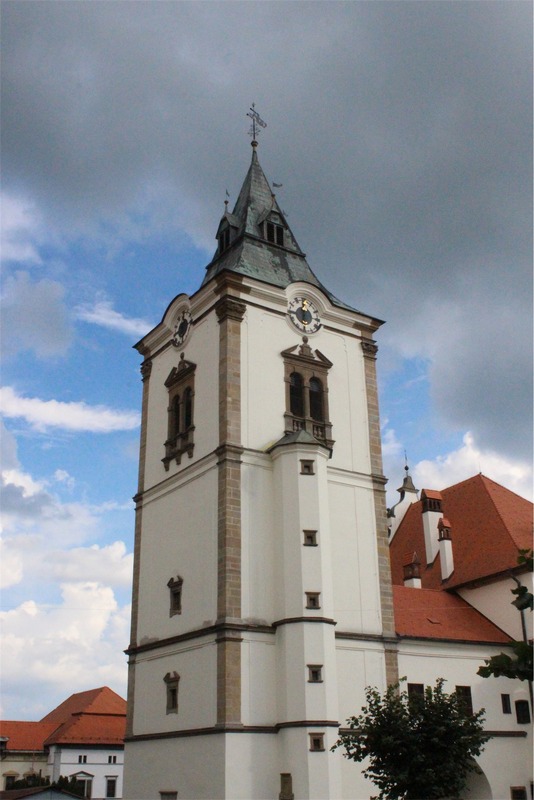 Also on the UNESCO listing, Levoca was a cute little town that was built around the 12th Century. The buildings were amazing. We walked around for a little while, but torrential rain stopped play and so we headed off to Roznava to find our accommodation for the night. 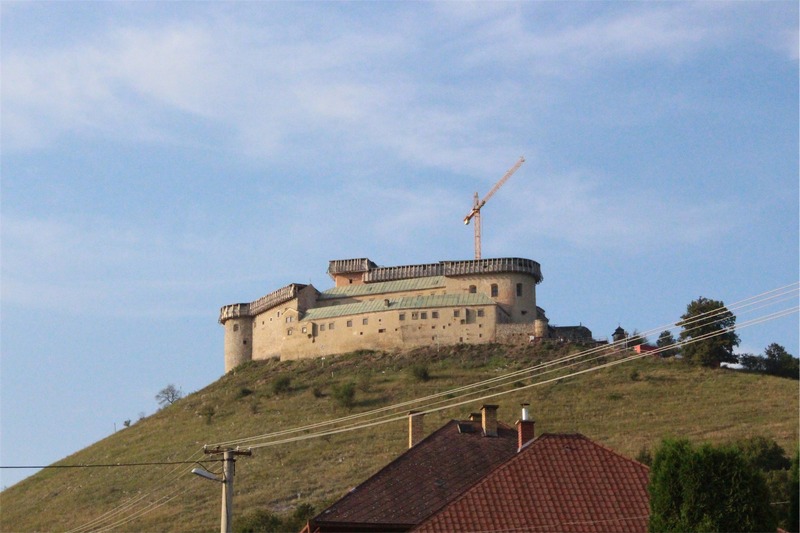 On the way to Roznava we tried to visit a castle that was on our sight seeing list – Krasna Horka. Unfortunately it mostly burned down in 2012 and the renovations are not yet finished. The road to the castle was closed, but we did get a couple of pictures that included the crane used for the renovation. When we did finally get to our accommodation, we had dinner and a couple of beers at a pub next door before turning in after another busy day.